I am very old user of the Opera browser (as far as i remember from 2001, then it was the 7th version) and to this day I continue to use it. Since Opera is my most used program every day, so it is convenient to maintain a list of daily tasks right in my favorite browser. 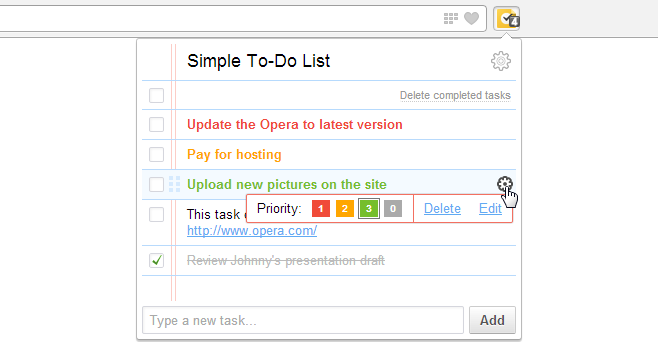 In previous versions of the Opera (I mean Presto based versions – 12 and below) I have used extension for managing task list from another developer. But when I’ve switched on Opera 15 (based on Blink), I have decided to make my own extension, using HTML, CSS and jQuery technologies, which I like very much. Great web designer Orman Clark once shared with his readers very beautiful tag cloud design, which may help to make you website more attractive. Such a tag can be marked up with just one image, however, modern technologies allow to mark it up entirely with CSS, without using this image. And now I will show you how to do it. Nowadays we are involved in different processes connected to the Internet. There are many numerous interesting websites and all of them have a specific purpose. I present to you my website Share42.com called Social Sharing Button Script. It provides a free service for generating a script. So, eventually, visitors on your websites or various social networks will be able to post links and additional information to your articles in various types of social media. WordPress engine allows to create sites with big number of users of different levels. 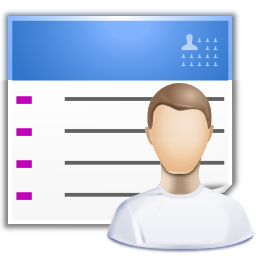 And authors, which have corresponding right, can fill the site content. On such a multi-user sites will be useful to have a list with top authors. In this post I will show you one of the ways how to display list of the top authors without using a plugin.